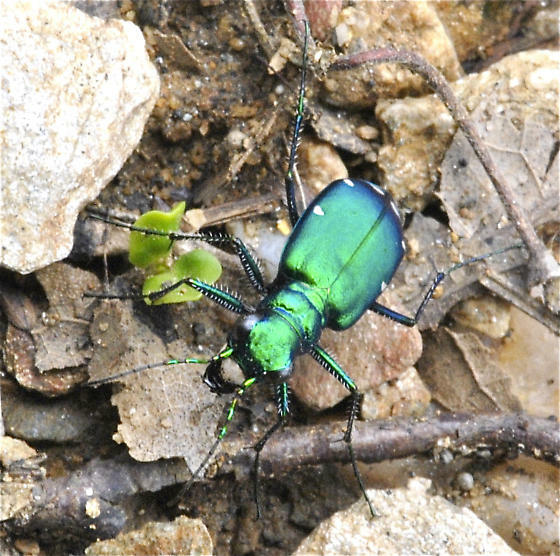 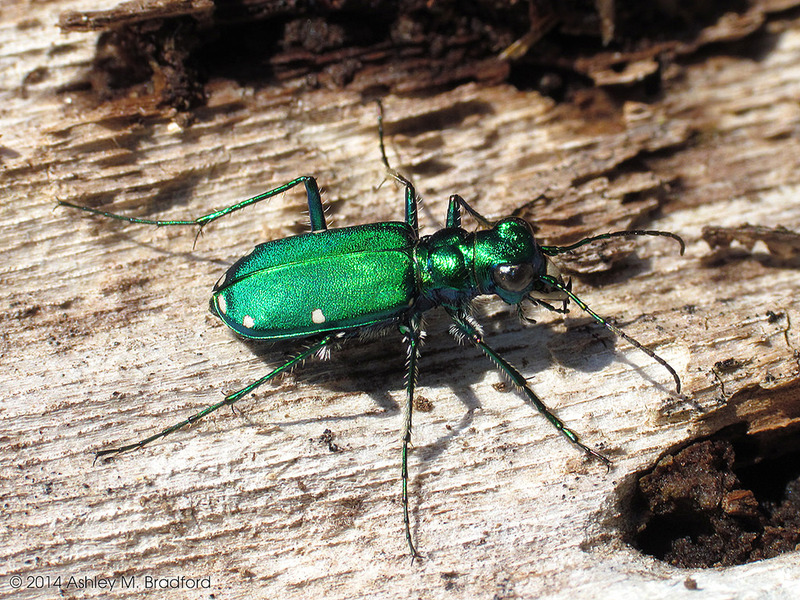 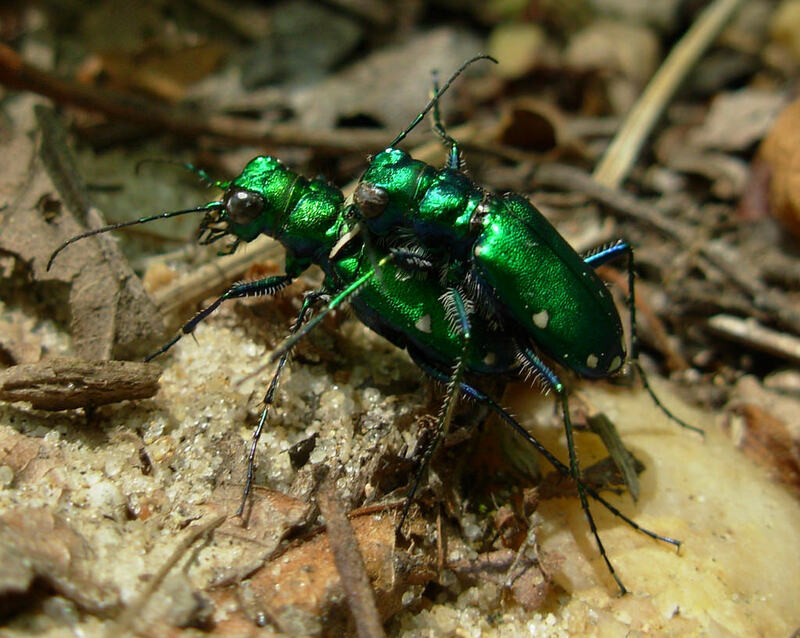 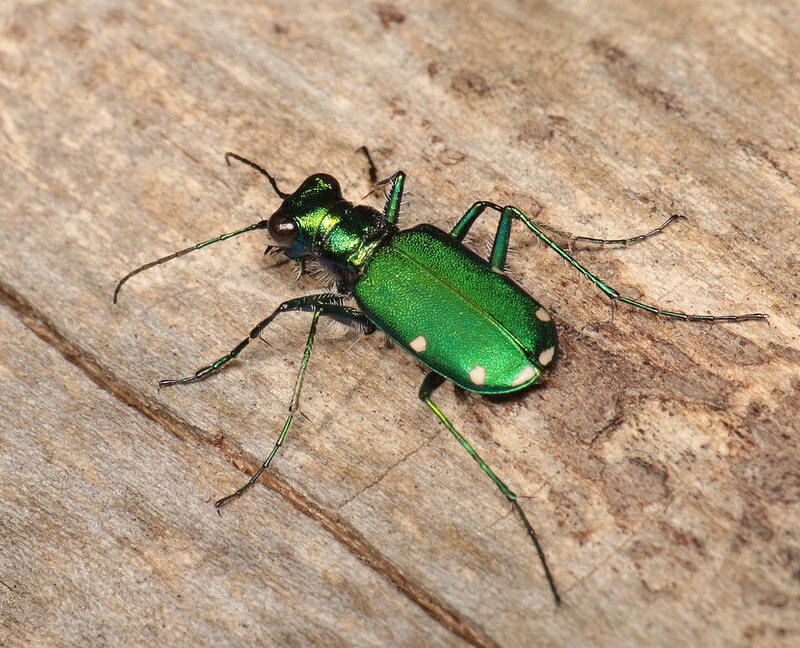 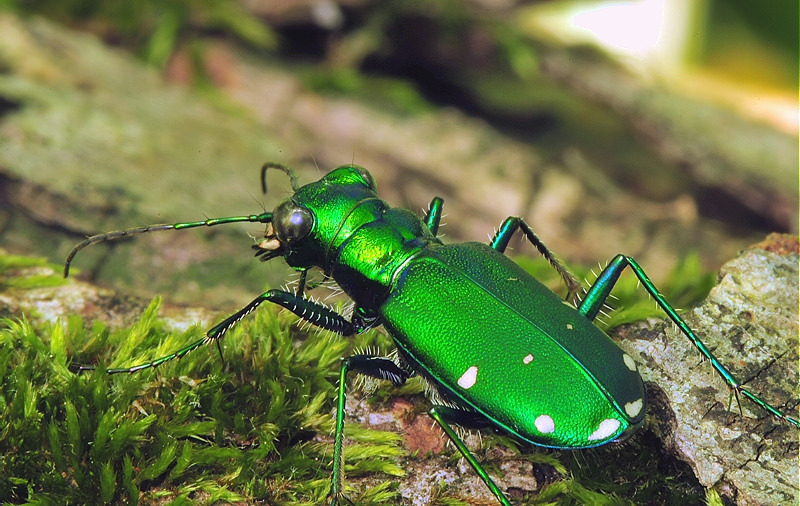 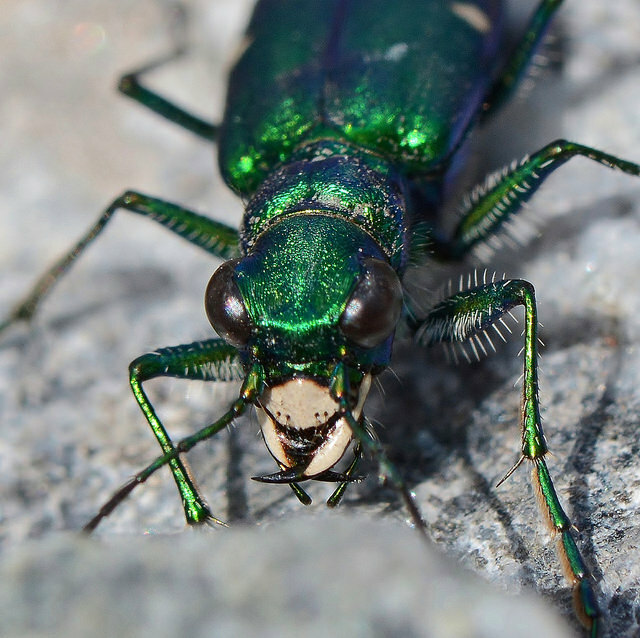 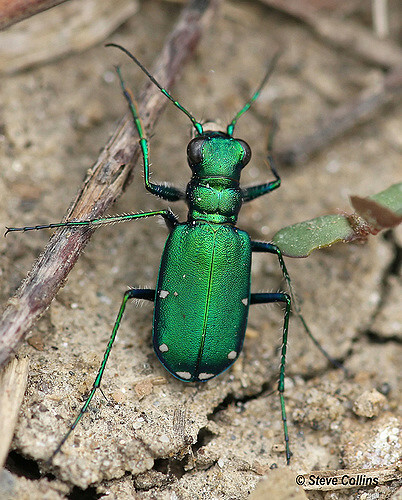 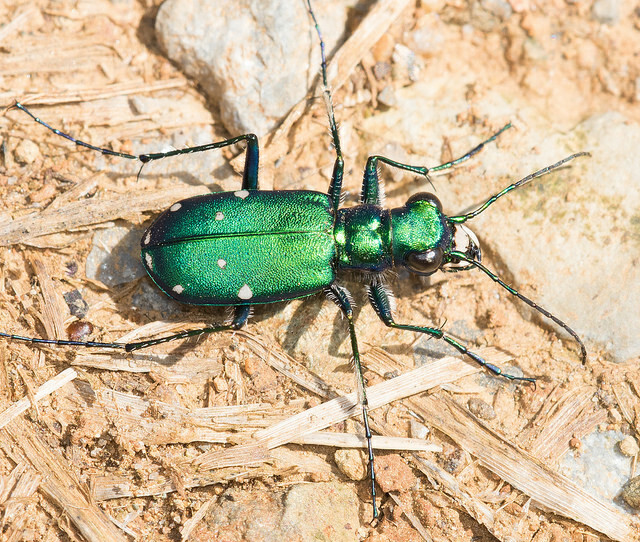 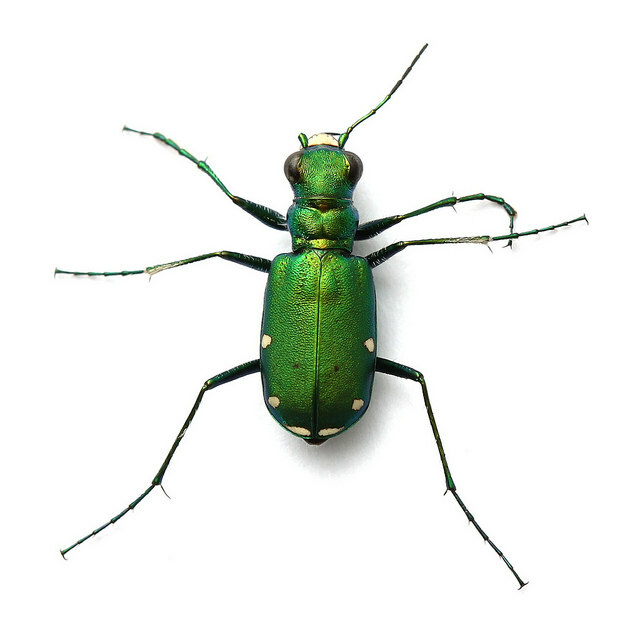 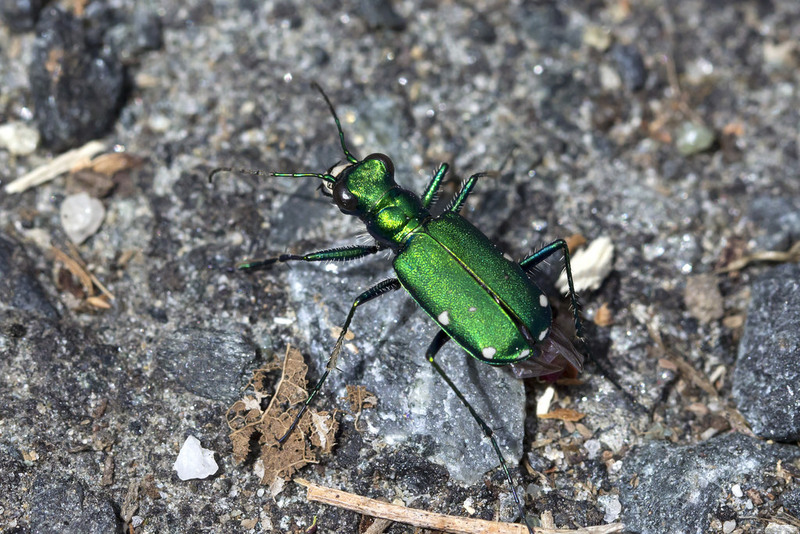 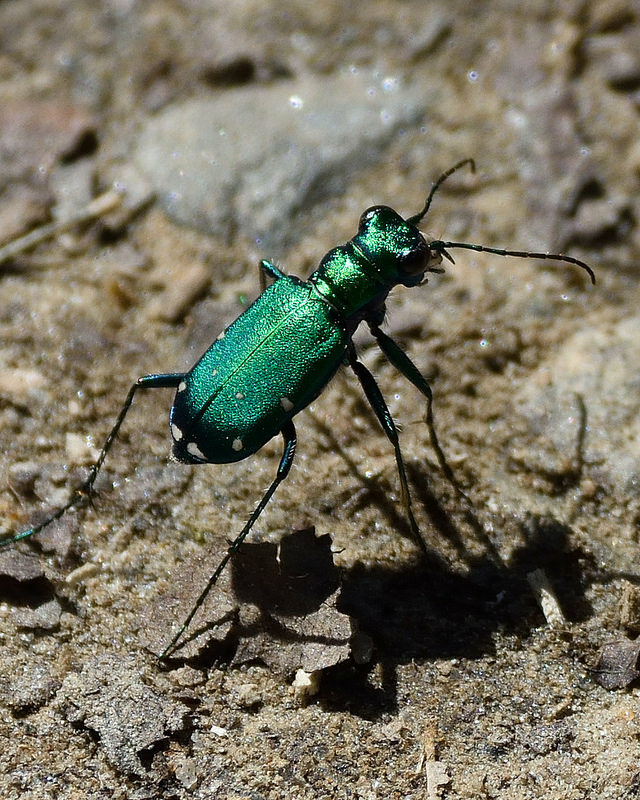 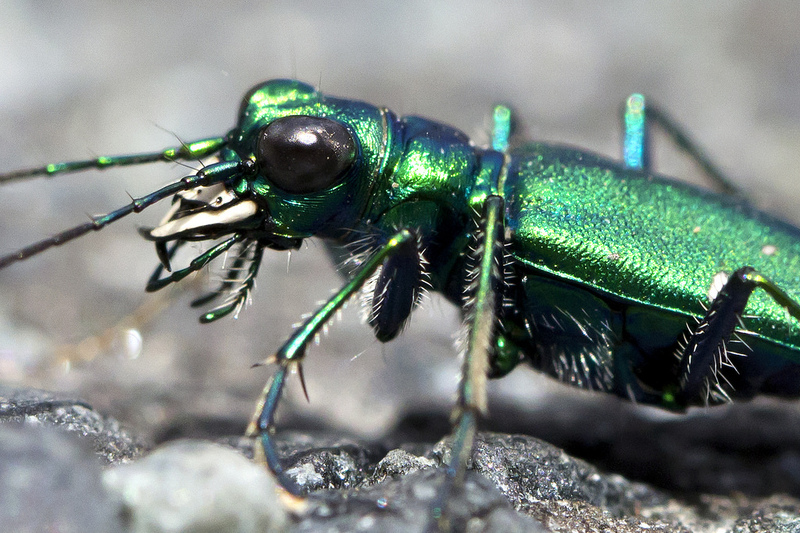 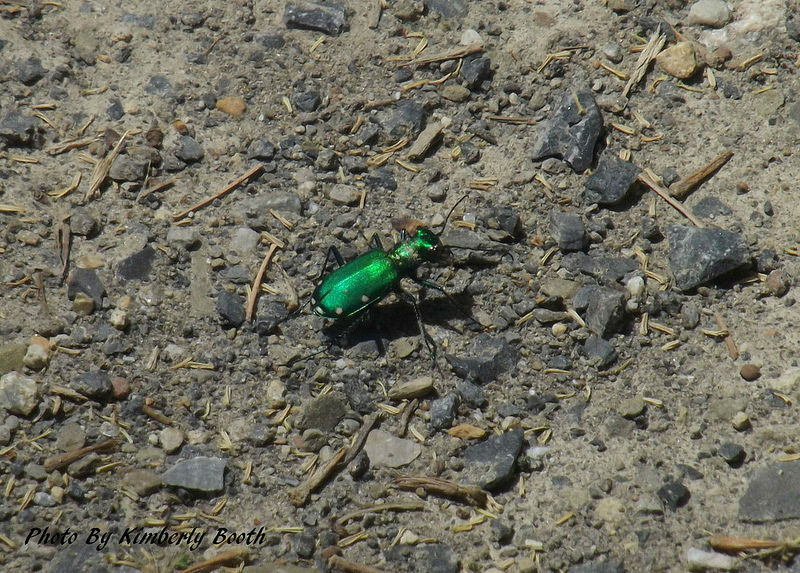 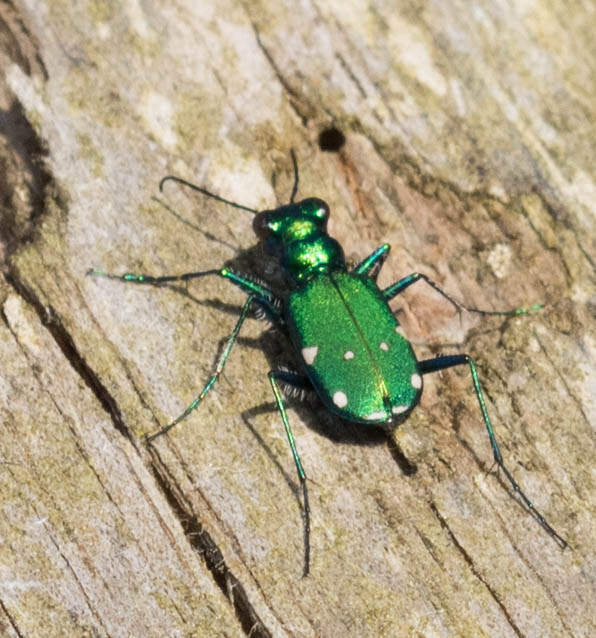 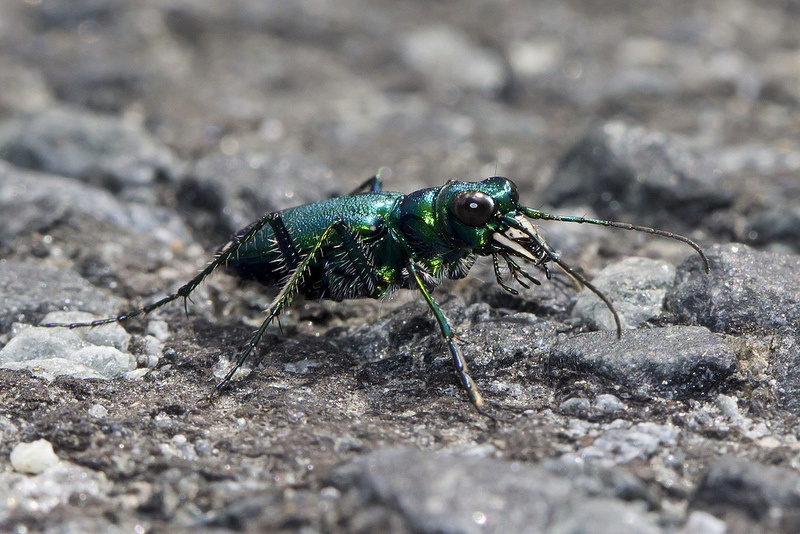 The brightly metallic green Cicindela sexguttata is possibly one of the most common (or at least one of the most conspicuous) species of tiger beetles in eastern North America. 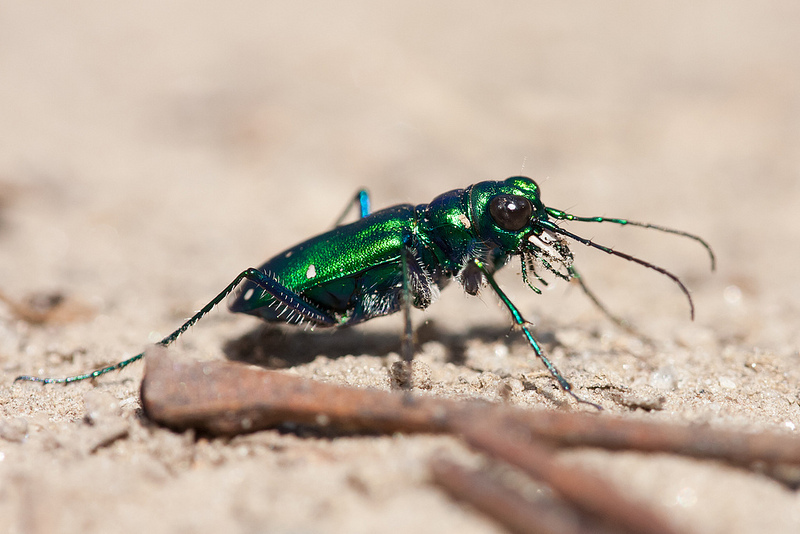 It can be found in a wide range of habitats within forested landscapes, including trails, roads, meadows, natural openings, powerlines, and many similar habitats with at least dappled direct sunlight. 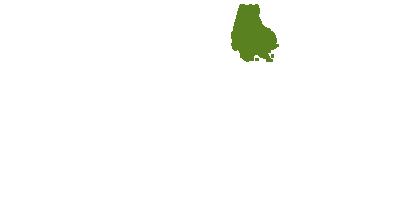 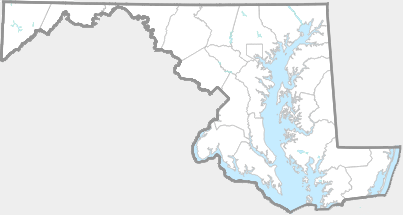 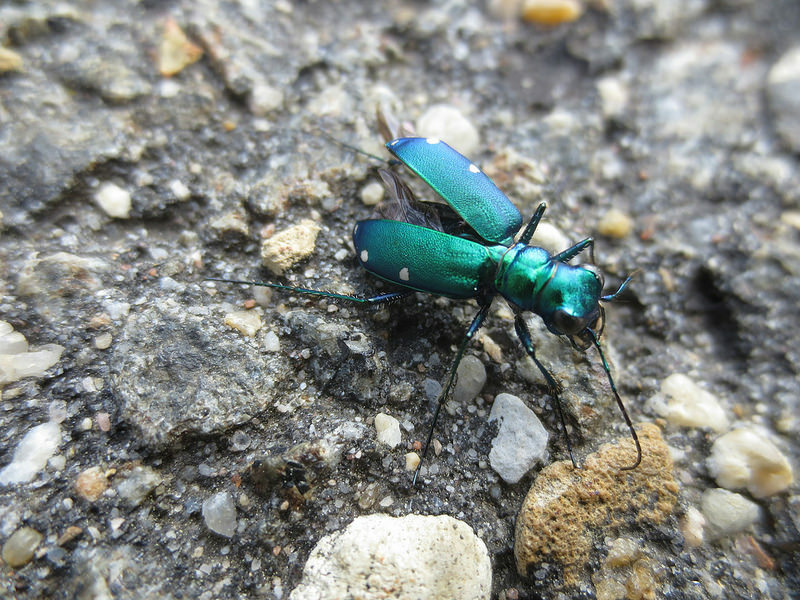 This species occurs in every county in Maryland, and is often noticed even by casual observers. 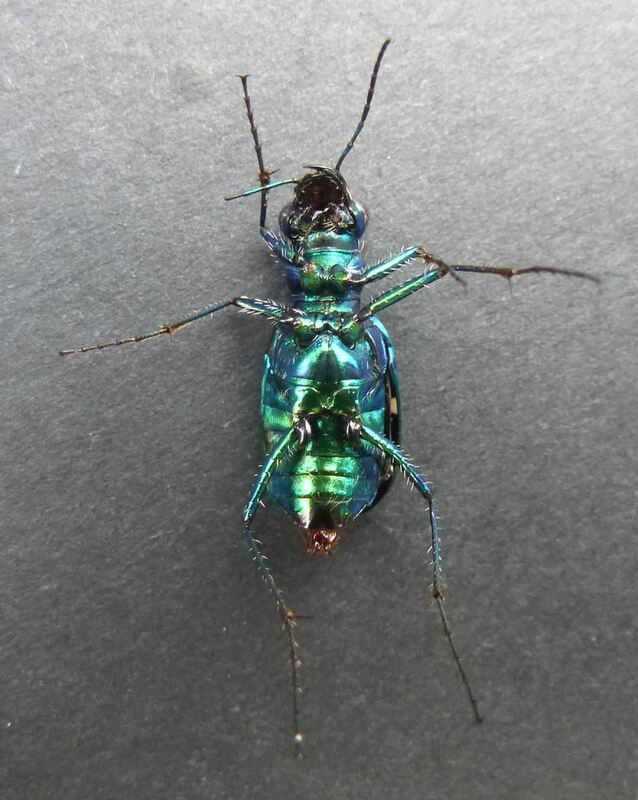 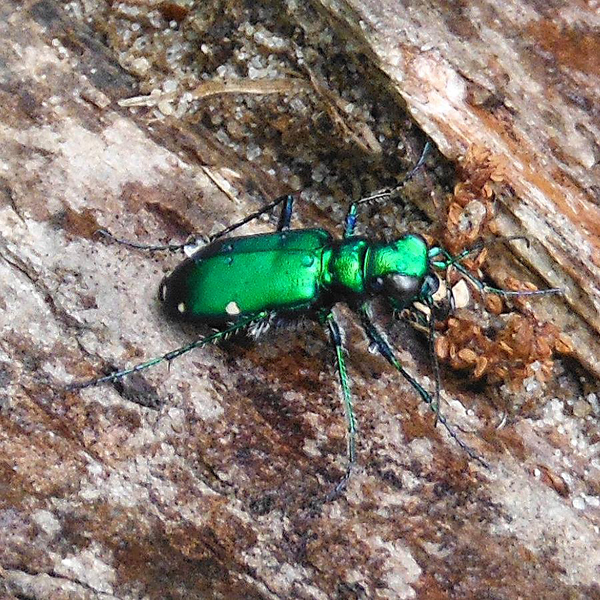 Cicindela sexguttata can be distinguished from its more uncommon relative, C. patruela by noting the extent and shape of maculations, the sculpturing of the integument, and the extent of white setae on the body. 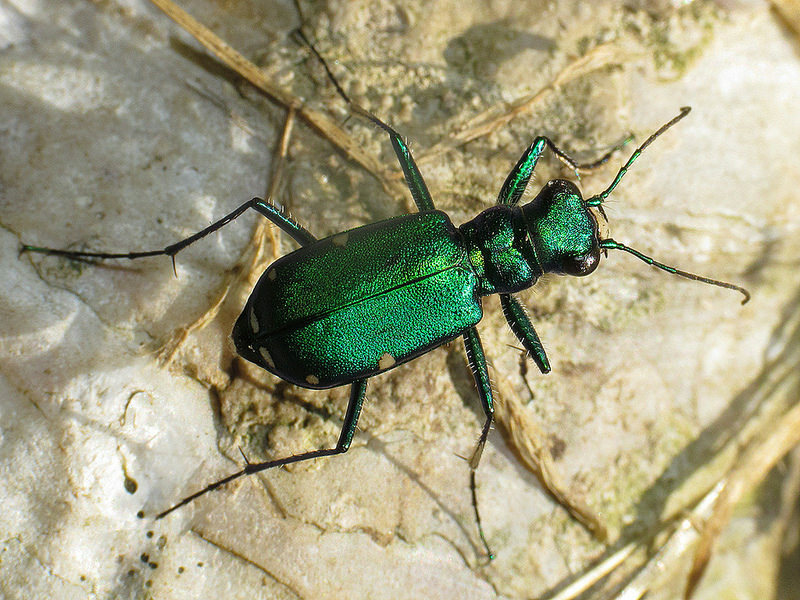 C. patruela shows a complete middle band, reaching to the edge of the elytron, while the maculations are normally broken into spots or absent on sexguttata. 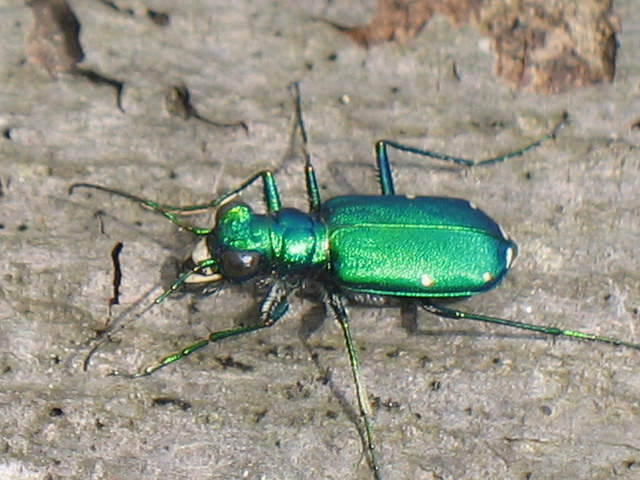 C. patruela generally has a duller, less reflective body coloration, while sexguttata is a more brilliant, metallic emerald green or bluish. 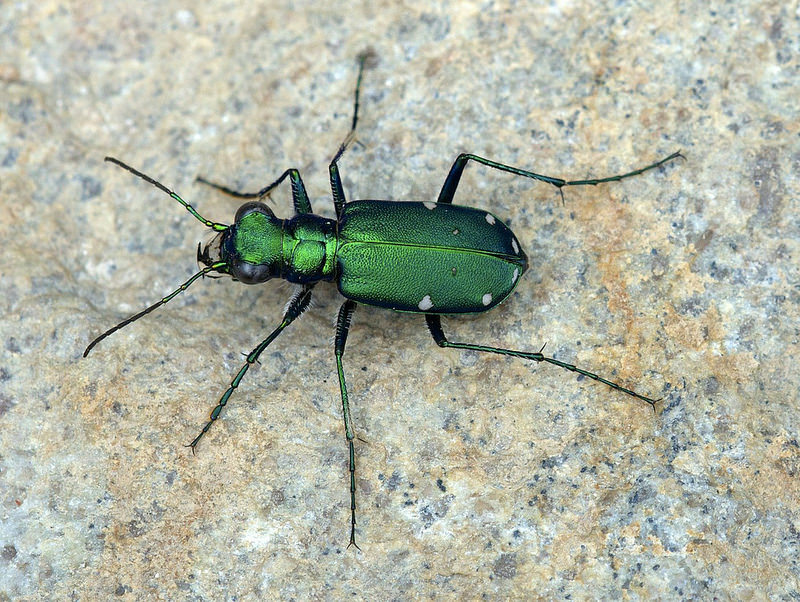 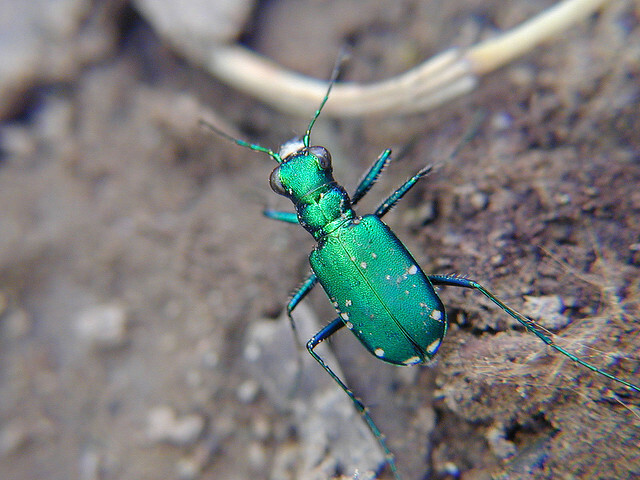 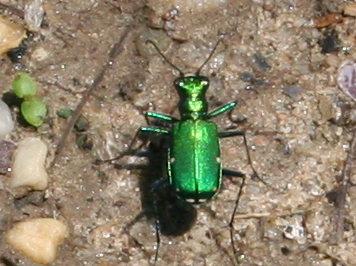 Cicindela patruela has more extensive, dense whitish appressed setae along the metacoxae and sides of the abdomen, while this feature is much less developed on sexguttata. 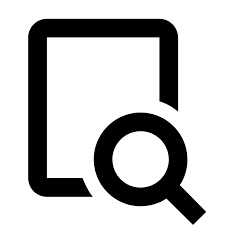 There are 223 records in the project database.